The project aimed at sustainable coastal risk management in the North Sea Region through exchange of experience and common evaluation and pilot studies. It addressed the following aspects of risk management: Improvement of policies and strategies, common strategic planning tools, participation methods and performance indicators as well as common technical methods. 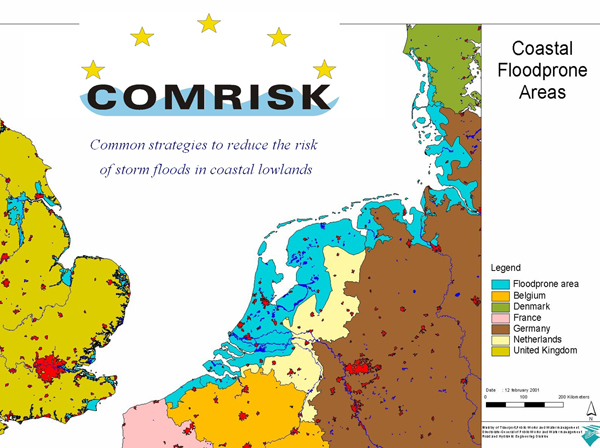 ComRisk addressed the issue of improved protection from coastal floods (i.e., coastal risk management) through a transfer and evaluation of knowledge and methods as well as common pilot studies. The projects contributed with nine studies on specific aspects of coastal risk management were conducted. In five evaluation studies, information from all participating countries was gathered and evaluated. In four pilot studies, state of the art risk assessments were carried out to test and evaluate newest methods for achieving the risk. 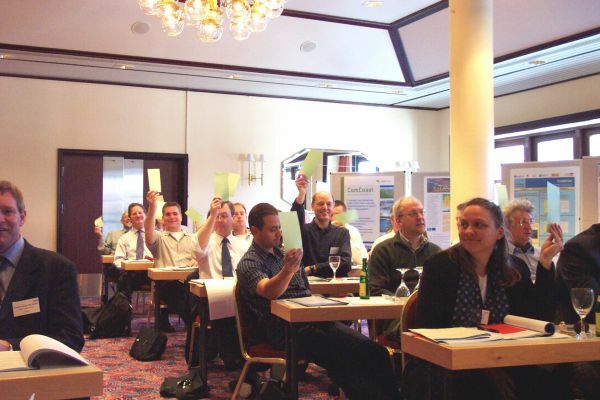 In the cause of the project, seven expert workshops (about 140 participants) and a final conference (87 participants) were organised to exchange and evaluate experiences as well as to disseminate project results. 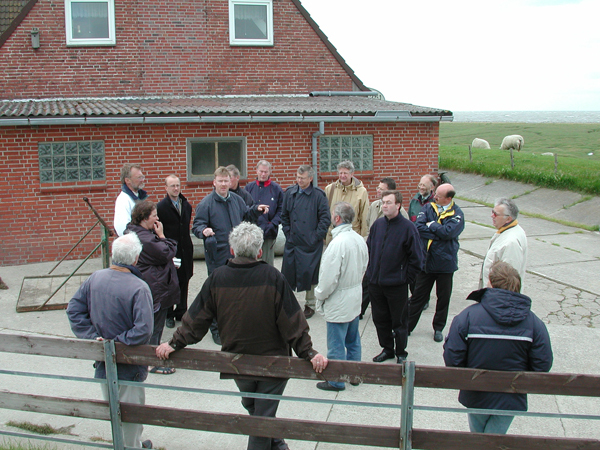 In two pilot studies, local contacts groups were established to involve local knowledge. A final brochure and a technical report were published at the end of the project to disseminate outcomes to the general public as well as to coastal risk managers. The project ran under the auspices of the North Sea Coastal Managers Group. 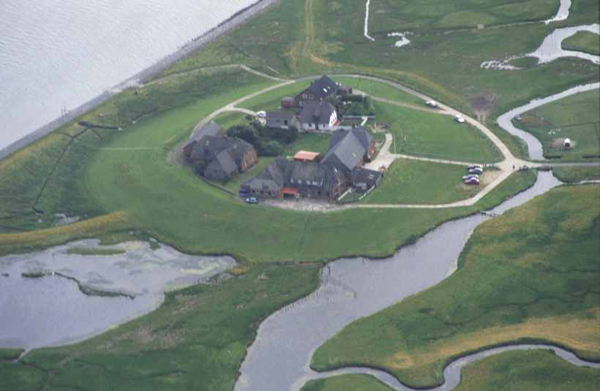 This network consists of high level coastal risk managers and officers from supreme authorities around the North Sea that meet once per year on an informal basis. One of the deficits acknowledged during these meetings was the lack of time to exchange experiences (due to other obligations). COMRISK was seen as a way to intensify this exchange which turned out to be very successful. As a consequence, the INTERREG IIIB project SAFECOAST was organised as a follow up of COMRISK to continue the more intensive networking. The project also delivered two studies (“policies and strategies” and “perception and participation”) had a strong focus on the ICZM principles as defined in the respective EU-recommendation. Whereas the first study investigated the coastal risk policies and strategies with respect to the degree that they (already or should) comply with the ICZM principles, the other study 3 focussed on public involvement and participation. Both studies came up with respective recommendations. In synthesis, with this project almost 200 directly and indirectly involved individuals and about 30 public and private institutions that work on coastal risk management in the North Sea Region have actually benefited from this transnational sharing of information and knowledge. This will lead to a quality improvement and harmonisation of coastal risk management in the North Sea Region, thereby ensuring a sustainable, harmonious and balanced development in the coastal lowlands of the North Sea Region. 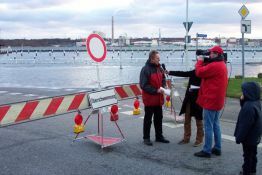 The objective of COMRISK was to improve coastal flood risk management through a transfer and evaluation of knowledge and methods as well as pilot studies. This subproject has provided a comprehensive analytic framework as a tool to assess policies and strategies for the five regions. The analytic framework has proven to be an adequate tool for gaining insight in coastal risk management as applied in the North Sea Region. It is used to assess current national policies in terms of legal, social, technical, financial, socio-economic, ecological and managerial aspects. The framework can also benefit future policy analysis. The impact that COMRISK did achieve is ensuring a sustainable, harmonious and balanced development in the coastal lowlands of the North Sea Region. Basic requirement is a well-functioning (safeguarding) coastal risk management. In all, about 30 organisations (partners, consultants, local administrations, etc.) were directly involved in the project. More than 40 individuals (project team, consultants and contact groups) actively contributed to the project outcomes, and about 150 more persons were involved through workshops, expert questionnaires, etc. Together, they represent a significant part of the coastal risk management society in the North Sea Region.